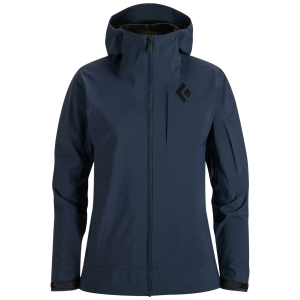 Layering is the bread and butter of every snow lover, but what if you could get the same comfort and weather protection without having to pop clothes off halfway up the skintrack and on again at the summit’ If that sounds pretty killer, check out the Black Diamond Recon Women’s Jacket. Made to provide breathability, top-shelf water resistance, and rugged durability, the Recon boasts a body that’s made of Windstopper softshell which, as the name suggests, keeps the winter gusts from sucking the heat off of your bones. Black Diamond also treated the shell with a water-repellent DWR finish, and made the underarms and back panels from Schoeller, a highly stretchy and super-breathable softshell that’s been treated with Nanosphere, a water, oil, and stain-resistant coating. While the unique fabric combination keeps you dry from the outside and the inside, the powder skirt prevents cold smoke from blowing up your back and the helmet-compatible hood makes sure snow and wind don’t freeze your noggin solid. 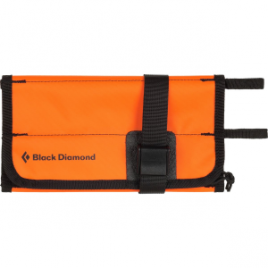 Black Diamond also integrated its Cohaesive cord-management system, which makes it easy to cinch down the hood and hem with a single pull. A thoughtful series of pockets, including one for your ski pass and two for your skins, make backcountry and lift-served days flow smoothy, the microsuede-lined collar protects your chin, and the hook-and-loop cuffs keep snow out of your sleeves when things are getting double overhead.